Today I had my first proper trip of the year to Spurn and not a bad one it turned out to be. First decent bird was a barn Owl hunting over the triangle, then a firecrest ringed at the warren made its way to canal bushes where I struggled to get a shot. There were a few chief-chaffs about as well as plenty of gold crests. 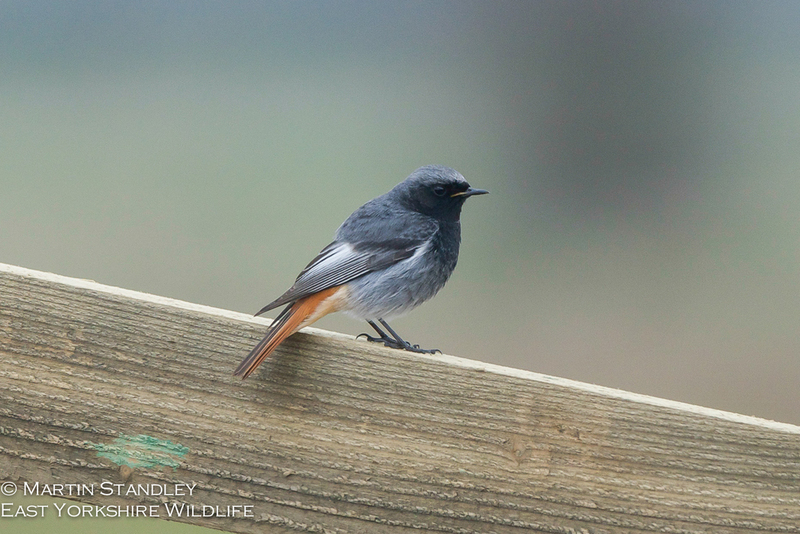 Next there was a pair (male and female) of black redstarts at the Riverside Hotel accompanied by my first wheatear of the year. A swallow flew north (my first of the year) and a short eared owl hunted towards long bank. I had a quick look in the crown car park before I left and the first bird I saw was another firecrest, but by now the light had gone. A short eared owl was hunting in fields on Easington straight on the way home. I also collected my copy of Spurn Wildlife and I'm pleased to say my photo of the masked shrike was on the front cover. All in all not a bad day, very rarely does Spurn let me down.